Instrumentation calibration is a procedure through which three general types of errors can be encountered. A typical signifier for a need of instrument recalibration is if the instrument is performing in an incorrect manner. This situation serves as a good way to showcase different types of error related to error analysis. The three major category of errors regarding measurement are gross errors, systematic errors, and random errors. The first two categories of error, gross and systematic, are related to the two main elements of process control: controller and instrument. 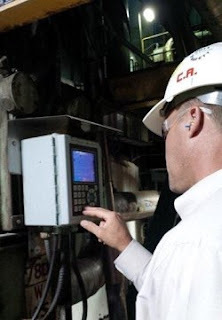 Gross errors are a product of the process controller or operator incorrectly evaluating the instrument value, with the best prevention of gross error being careful review of data both while recording and interpreting it. Systematic errors impact every reading from a particular instrument, and are typically cause for instrument recalibration. Zero errors, where the instrument does not return to the predetermined zero value after each reading, are systematic errors because the same error in measurement is being displayed each time. 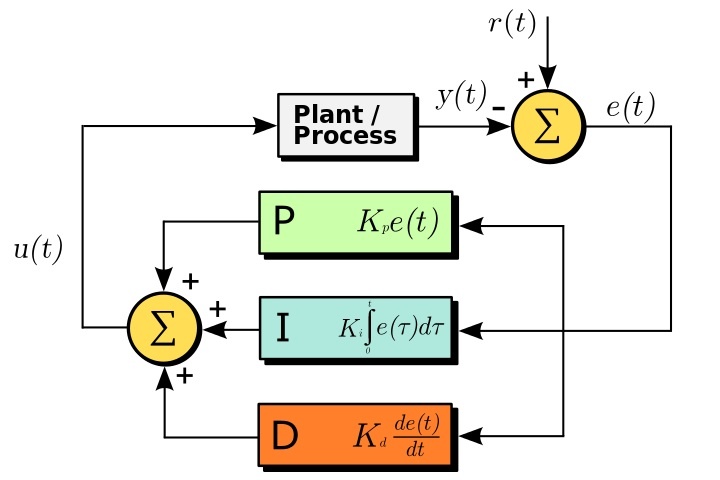 Lastly, random errors impact instrumentation readings due to causes which are either unknown or simply unpredictable, meaning the error is both not able to be duplicated and is not a result of gross error. Random errors can be challenging to deduce due to both their singularity and their potential lack of a clear cause. The previously mentioned zero error, also known as a zero shift calibration error, is typified by the resulting readings being offset at the same percentage. 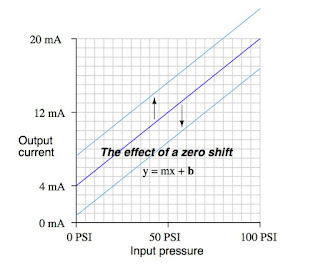 For example, a pressure transmitter which is functioning incorrectly as the result of a zeroing error can be corrected by a corresponding zero adjustment. After the adjustment and the transmitter being calibrated back to the correct zero point, the error will disappear. Another common type of systematic error is span shift calibration error. Unlike the zero error, span error can impact readings from the instrument repeatedly, but not necessarily identically. Similarly, by correcting the corresponding setting on the transmitter, in this case the span adjustment, the instrument can be correctly programmed once again by measuring the readings against a properly configured reference. 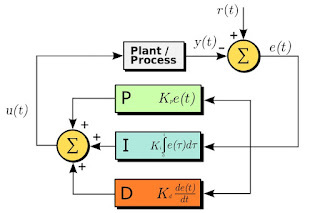 Hysteresis error occurs when the instrument in question returns erroneous responses as the input variable changes. The antidote to this kind of systematic error is to check the instrument against a pre-defined set of calibration points, first by increasing the input, and then subsequently decreasing the input in sequence to determine how the instrument responds as the input changes. 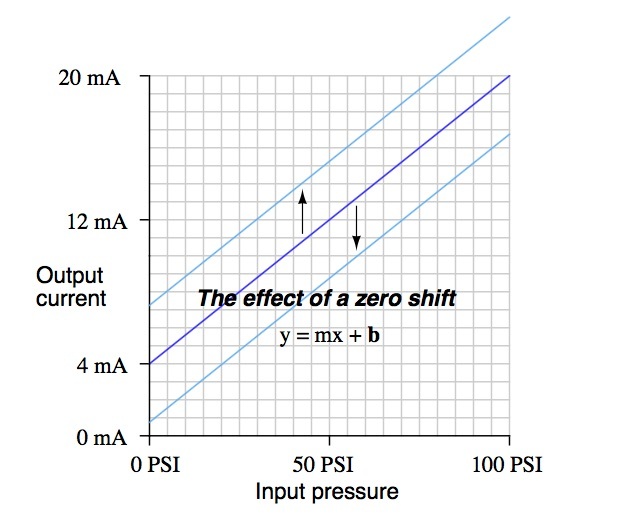 Mechanical friction has been known to be a common culprit for hysteresis errors. Understanding the capabilities and limitations of whatever instrument is relied upon for delivering process information is essential to successful operation. The concept of sulfite pulping was created in the United States in 1867, however it was not used in a mill until 1874 by a Swedish chemist who was probably unaware of the U.S. Patent (MacDonald, 277). 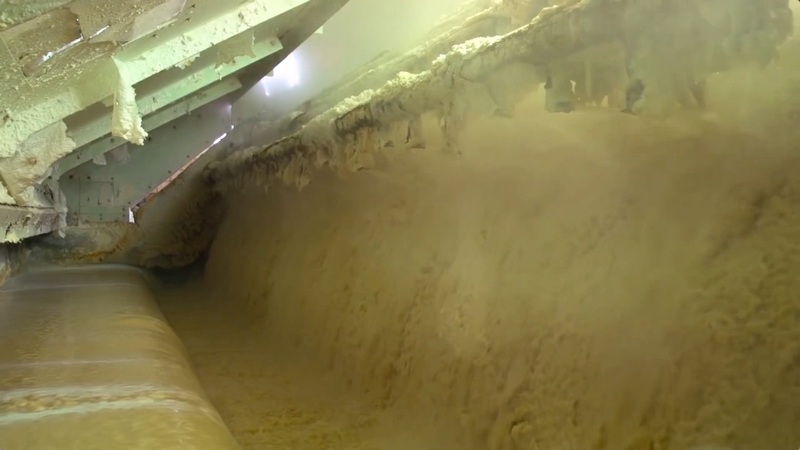 Sulfite pulping produces a lighter pulp than Kraft pulping. It can be used for newsprint, and when bleached can be used for writing papers and for the manufacture of viscose rayon, acetate filaments and films, and cellophane. 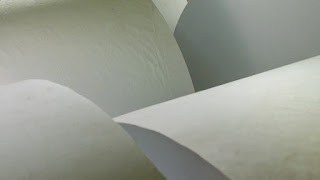 Sulfite pulping follows many of the same steps as Kraft pulping. The major difference in sulfite pulping is that the digester “cooks” with a mixture of H2SO3 (sulfurous acid) and HSO3 ion in the form of calcium, magnesium, sodium, or ammonium bisulfate). 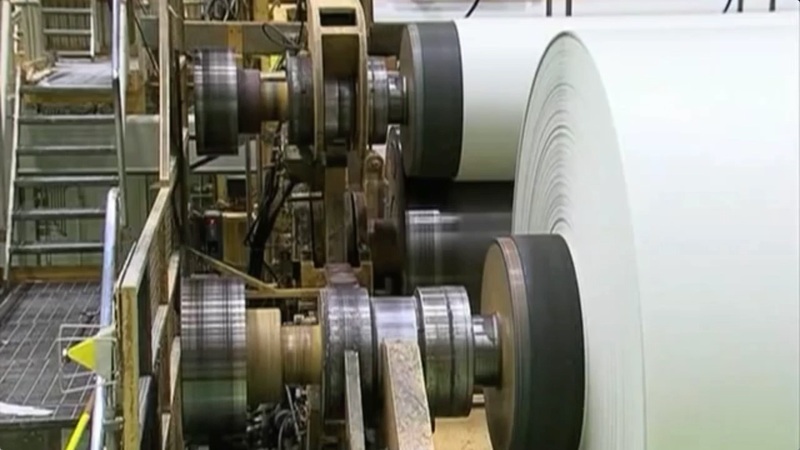 The pulp continues on through the same processes as in the Kraft pulping process. However, the chemicals separated from the pulp in the washers may or may not go into a recovery process. Chemical recovery in sulfite pulping is practiced only if it is economical. If chemical recovery does occur the liquor goes through an evaporator and then to a recovery furnace. Here, smelt is not formed, but ash and SO2 are formed.